Yoga is a vast discipline that is aimed at integrating mind, body and spirit to achieve a state of enlightenment or self-realization. Yoga is science and works wonders when integrated into our daily life. It works on all aspects of the person; the physical, emotional, intellectual, and spiritual. The different branches of yoga prescribe different approaches and techniques, but ultimately lead to the same goal of enlightenment. The Sanskrit word “Yoga” is derived from the root word “Yuj” meaning to harness or join together. Hence Yoga is commonly understood to mean union. The union referred to is generally understood as the union of jeevatma (individual self) with the paramatma (the universal self). It has been our Founder’s vision that students of Omega are balanced in all aspects – body, mind and soul. To realize His vision, Omega students are taught values and skills as a part of their academic curriculum. Additionally, yoga and meditation is part of the student’s Physical Education program and is seamlessly weaved into their day order. Students from Grades I to VIII are taught yoga by trained, full-time members of faculty at the campus. Students of Grades I to III are introduced to the basics of preparatory exercises called as Sukshma Vyayama. Techniques to improve flexibility are also taught. Students of Grades IV to VIII are facilitated with theoretical sessions about each anga in Yogasana. Further, sessions to practice the forms are conducted. Students are taught “AUM” chanting and the benefits of chanting the mantras. Students are taught techniques of doing mudras and its benefits. The mudras in focus are also age appropriate; those that help in improving concentration, memory, immunity and so on. Participation in numerous interschool events and competitions at all levels – city / district and national levels. Children participate and perform during the International Yoga Day celebration at the school campus. Children perform select yogasanas during various celebrations at school - Independence Day, Republic day, Sports day and more. As part of the Yoga Health Awareness Program, members of faculty attend summer programs and self-healing technique programs. 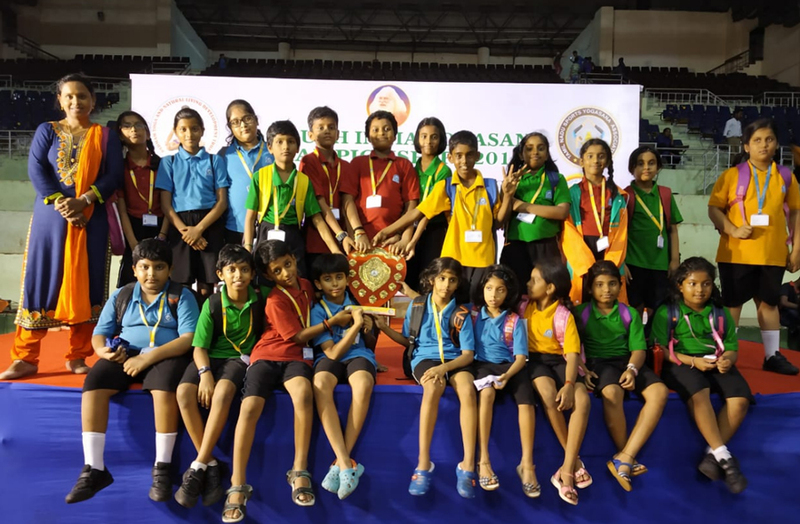 65 students participated in the South India Yogasana Championship organized by Sri. Narayana Sevashramam Yoga Centre and won top prizes. 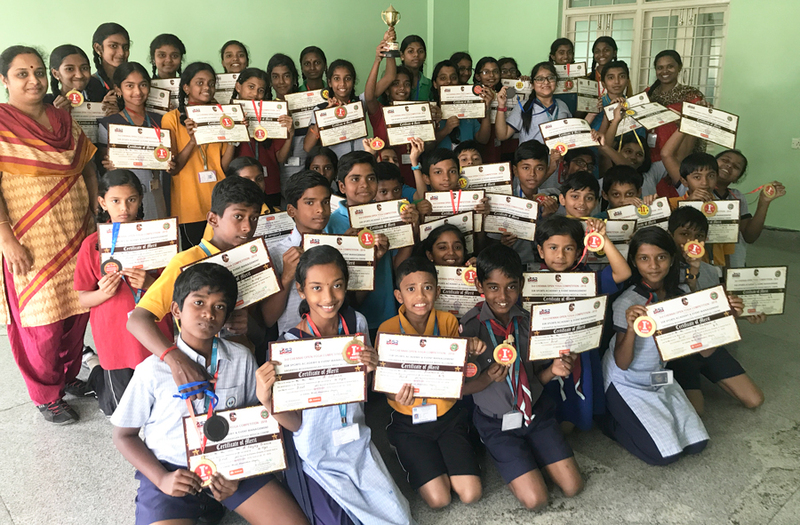 Over 50 students participated in a Yoga Competition organized by SSR Sports Academy and Vasantha Mohan Rangan Siddha Medical Centre. Omega students won 30 First Prizes, 12 Second Prizes and 8 Third Prizes in various events in the Competition.